performance smartphone for less than $245. 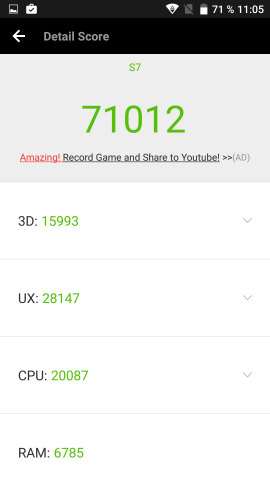 Today i am going to let you know about the gaming performance review of the flagship Elephone S7 equiped with Helio X20 and 4 GB of RAM on board. As part of this review, we find out how the device handles the most demanding gaming and multi-tasking mode. Before going into a detailed account of the performance Elephone S7. Powered by a 64-bit SoC Mediatek Helio X20 (MT6797), which is made with 20-nanometer process technology. The Tri-cluster 10-core CPU architecture of the SoC, consisting of 2 Cortex-A72 cores and double quad-core Cortex-A53 is responsible for a good performance. This means that the Ten cores contain three groups of processor. 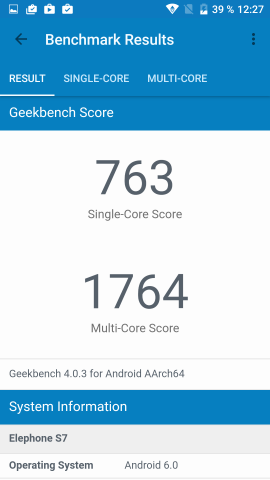 The first group included two high-performance core ARM Cortex-A72 with a maximum clock frequency of 2.1 GHz, the second - four core ARM Cortex-A53 average performance with a frequency of 1.85 GHz, and the third - four more energy-efficient Cortex-A53 core with a frequency 1.4 GHz. Depending on the current load the processor can automatically enable or disable it own clusters and nucleus, which will help save the device from battery drain, but also allows you to use the full power of the processor when you are playing games. Also in the SoC includes a graphics accelerator ARM Mali-T880 MP4 with a frequency of 780 MHz and support for OpenGL ES 3.1. 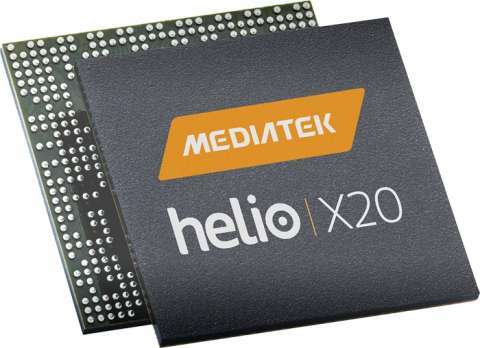 For a few of you who don't know much about the SoC mobile market, Let me tell you more about the Mediatek Helio X20 processor. Today the Helio X2x line is the top among Mediatek solutions, but the key differences between Helio X20 SoC with a large number of other processors, such as Helio X25 is the maximum clock frequency. The frequency up to 2.5 GHz. Therefore, smartphone usage with the Helio X20 is currently the best in terms of balance in performance and power consumption. You should also know that this devices has 4GB of RAM standard LPDDR3 and 64 GB of internal memory eMMC 5.1 standard. 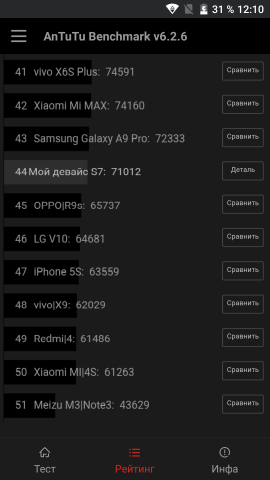 In this regard, especially for Elephone S7, we have expanded the list of benchmarks used. 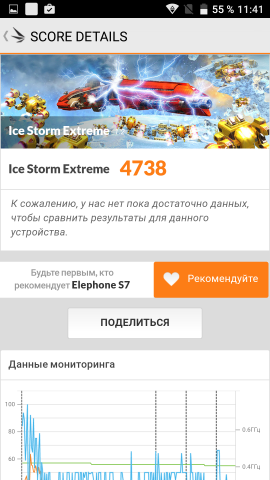 We have test the phone in AnTuTu, 3DMark Sling Shot, 3DMark Ice Storm Extreme, PCMark Work 2.0 and Geekbench 4 CPU. Below are the screenshot results. It's time to go into playing games, and we'll start with one of the easiest in our list - Fallout Shelter. In general, it is two-dimensional, but it also has 3D-elements, as well as a lot of animations which can put alot of load on the device "processor". However, there is absolutely no problem with Fallout Shelter Gameplay, and the phone doesn't get hot, but it start get a little warm after play this game for 1 hour. We also play FIFA 16 Ultimate Team. From a performance standpoint it plays very well on the Elephone S7 - the game runs as smooth as possible, without lags or stutters. 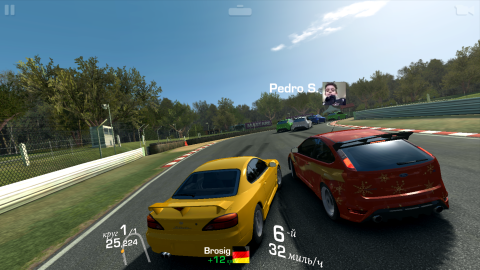 Even Real Racing 3 android game could not push the device to it limit, too, considering it powerful GPU and CPU it was a piece of cake. 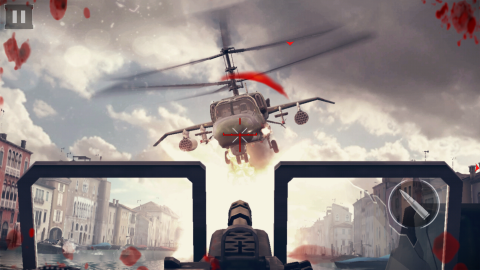 After playing Modern Combat for 35 minutes, the smartphone was noticeably warm, but gameplay, despite the huge number of special effects and blood spatter directly at the screen, plays very well.Game-play was responsive, with full fps. 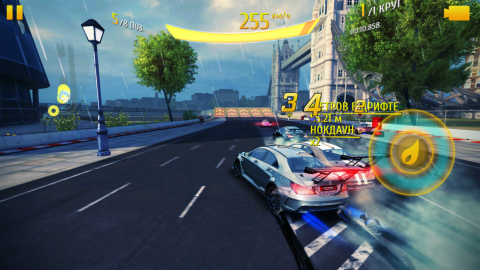 Finally we got to the most interesting gameplay- Asphalt 8: Airborne. Despite the fact that the game was released a few years ago, it is still capable of putting a maximum load even on the most powerful smartphones. Unfortunately it doesn't play well on our Elephone S7 Gaming test. There was noticeable lags when choosing and selecting cars in the menu. 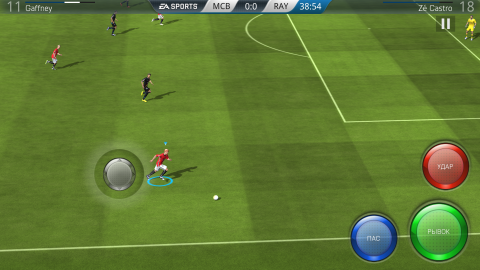 During gameplay was a little bit better, because the lags is not noticeable and no slowdown. Lower Fps was experienced when racing on "heavy" tracks (Tokyo and Rio de Janeiro), but it is still very playable. When playing Asphalt 8 there was a noticeable heats up on the devices, but you can still hold it comfortablle in your hands when playing. 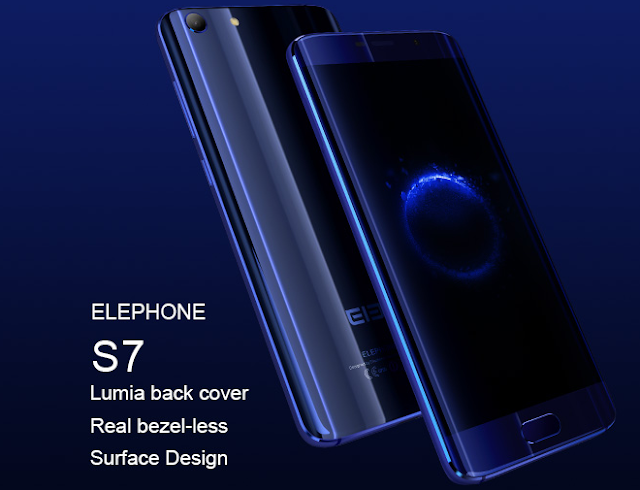 With Elephone S7 you have got an affordable and powerful smartphone in terms of performance. The smartphone has shown good results in benchmarks and all the real life gaming tests. 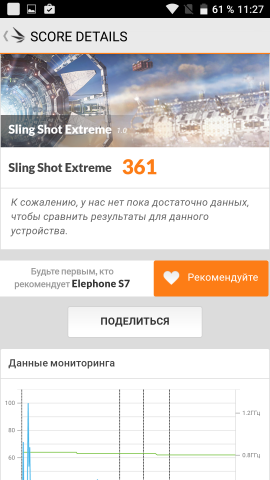 Only Asphalt 8: Airborne has managed to getting close to push the device to it limit performance. No significant problems have arisen in our daily usage and gameplay, which is very rare for a budget devices, which is a very great achievement.